Dr. Ahmed Fouad has completed his fellowship and advanced training in adult Cardiac Surgery at Dalhousie University, Halifax, Canada. He is currently a consultant Cardiac Surgeon at Ain Shams University, Cairo, Egypt and the head of Cardiac Surgery Department at Elaraby Hospital, Egypt. He has interest in research and publications and attended many international conferences. He is also interested in developing the knowledge and skills of young trainees in the field of Cardiac Surgery. Dr Suresh Bhagia has completed his MBBS at the age of 24 years from Maharaja Sayajirao University, Baroda, Gujarat, India. He is the founder member of Bhagia Heart Foundation. He trained in cardiothoracic surgery in UK then USA. He Has several indexed publications that have been cited many times, and he has delivered several international presentations in cardiothoracic surgery. Currently, he is an active cardiothoracic surgeon at Apollo hospitals and KD hospital in Ahmedabad, India. Dr Yalcin received his medical degree from Ankara Medical Faculty in Turkey, then he completed his residency in Cardiology in Istanbul University in 2008. He has been working as an Interventional Cardiologist especially in field of coronary department for 10 years. He has several publications which have been cited several times. 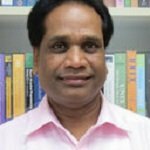 He has been serving as a reviewer of some journals. His Cardiology experience spans Clinical, Academic and Program development areas in North America, Asia & Africa. He has had Academic appointments at Universities of Toronto, Ottawa Heart Institute and AgaKhan University, Pakistan as first Professor and Head of the Cardiology Program, which he led and established. Assisted development of Cardiac Program at AgaKhan Hospital, Kenya. Head of NE Ontario Cardiovascular Program, where he established Cardiac Nuclear, Pacemaker and Rehabilitation units. Established the new Cardiac Catheterization Program in Peterborough, Ontario. Served on several Boards as Member and Chairman. Authored many peer-reviewed publications. 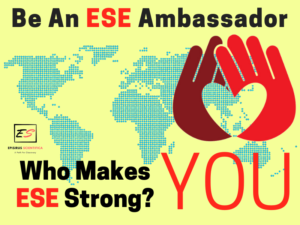 Won multiple awards, some include, Ontario Heart & Stroke Foundation award, Canadian AgaKhan Professional High Achiever’s award, AgaKhan Silver Jubilee Medal and Governor General of Canada 125th Anniversary Medal. Retired from clinical practice, he remains active in Cardiovascular education. Fellow Emeritus of ACC. 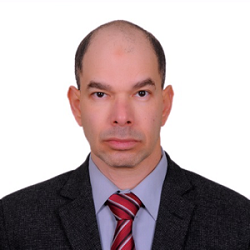 Ahmed Fouad has completed his MD (Doctorate) Degree from Ain Shams University, Egypt in 2013, USA. He is the Consultant and Head of Cardiothoracic Surgery Department in Elaraby Hospital, Egypt. He is the Lecturer in Ain Shams University Hospitals, Egypt. He did his Cardiac Surgery Clinical Fellowship at National University Hospital, Singapore in 2006. He has published several articles and has many certifications and Honors Recognitions in his name. Begoña García Zapirain was born in San Sebastian (Spain) in 1970. 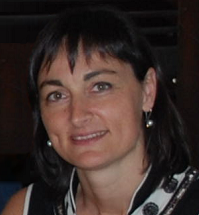 She is the Head and main researcher of the DeustoTech‐LIFE Unit at the University of Deusto and of the eVIDA research group, which holds the Basque Government Recognition R‐2010. She graduated in Telecommunications Engineering and she specialized in Telematics at the Basque Country University in 1994. In 2003 she defended her Ph.D. dissertation based on the pathological speech digital processing field. In 1997, after 5 years working for ZIV Company she joined the Engineering Faculty at the University of Deusto as a lecturer in signal theory and electronics. She led the Telecommunications Department from 2002 to 2008. She participated in more than 50 national and international research projects since 2002, leading 43 of them as the main researcher. As a result of these projects, she has published more than 20 articles in international journals, written several books and chapters, and presented more than 50 papers in international conferences. She is currently the director of 8 doctoral theses. She is a Member of IEEE and EURASIP, she is nowadays part of the CGames and ISSPIT organization committee and she serves as reviewer and editor in several international conferences and journals. 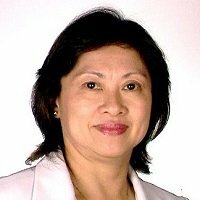 Maria Lourdes S Casas is a Pediatric Cardiologist certified by Philippine College of Cardiology. She completed her education and fellowships from University of Santo Tomas College of Medicine in the year of 1979. Prasan Kumar Sahoo has completed his Ph.D. (CSIE), Ph.D. (Math) from Chang Gung University, Taiwan. He is the professor of Dept. of Computer Science and Information Engineering at Chang Gung University. He is the Adjunct Associate Research Fellow of the Dept. of Cardiology in Chang Gung Memorial Hospital, Taiwan. 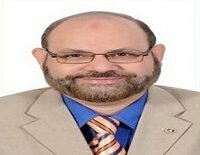 Ezzeldin A. Mostafa has completed his MD, PhD, MBA. He is the professor of Cardiovascular & Thoracic Surgery Ain Shams University Hospital Cairo, Egypt. Mr. Michael R. Gunderson is the President of the Center for Systems Improvement, which provides consulting and support services to healthcare organizations and industry primarily in the areas of performance/value improvement and systems of care, with a focus on high-risk time-sensitive conditions (e.g., acute myocardial infarction, sudden cardiac arrest, trauma, sepsis, and stroke). Mic is currently working with the American College of Cardiology to develop products and services to support EMS and cardiovascular related systems of care.